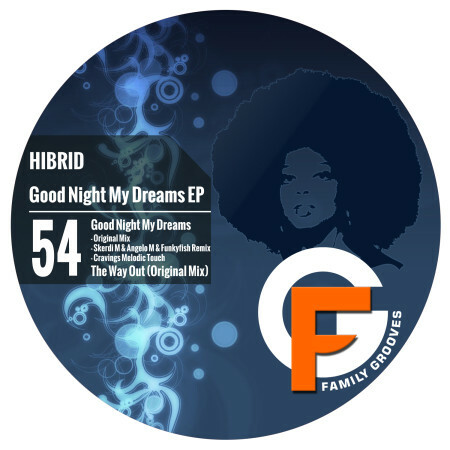 FG goes Deep House again, this time with Hibrid and his two originals “Good Night My Dreams” and “The Way Out”. The leading track is spiced up by a remix by Skerdi M. & Angelo M. & Funkyfish, while Cravings did fine job on their Melodic Touch version. The whole EP is tightly packed, so go on and pick your favorite. TERRY FRANCIS (Fabric, Wiggle) 1 4 me ! Unique CRO Both Originals for my afterhours sets! Thanks! OPOLOPO (Rebirth,Tokyo Dawn) Feeling the original mixes. RanchaTek nice pack !!! tnx !!! Below Bangkok both originals are amazing, Good Night My Dreams (Original Mix) has a good deep vibe, slow build up and excellent for the start of the set while Hibrid – The Way Out (Original Mix) has a nice groove! most def a gem !!!! Paco Maroto Nice releases!! Thanks! Dj Leoesco Hibrid – Good Night My Dreams (Skerdi M. & Angelo M. & Funkyfish Remix) is great job!